I am making this profile to find a suitable match for my daughter. She is a simple and an intelligent person with family values deeply ingrained in her. She is ambitious, conscientious and hardworking . She comes out as a thoughtful person. She is doing Masters in Data Science from Monash University, Melbourne, Australia. 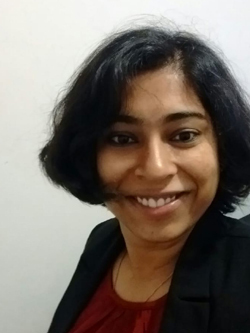 She joined the above course in Aug. 2017 after resigning from Ericsson India where she was posted as Software Engineer immediately after completion of her BTech (in cse) degree. She plans to apply for PR after completion of her Masters. Her hobbies include reading, listening to music and traveling. We are based out in Mumbai. My wife, Neelima, is homemaker. Our younger daughter, Suyasha, is pursuing MBBS degree from JNMC, Belgaum. She is in her 3rd year. I work in LIC of India and am currently posted as Chief (Investment Operations) in Central Office, Mumbai.